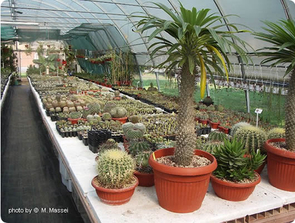 Milenaudisio is a small nursery born from a family's passion for cactuses, and from the desire to specialise in the breeding and cultivation of unusual (and also rare) plants which were not solely for a private collection. Our passion has brought us to specialise more in the Gymnocalycium and Lithops, without, however, disregarding other species. 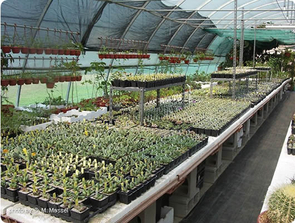 Our production is enriched every year and all the plants are grown from seed. We also have a good variety of Tillandsie. Our intention is to create in our nursery a meeting place for those who, like us, love and collect unusual plants and are interested in sharing experiences or in enlarging their own collection. With this initiative we hope to find new enthusiasts for these beautiful and unusual plants.